What is Psychiatric Pain Management? This is a series about psychiatric pain management. We’ll learn what it is and figure out if you might benefit from this treatment. If your doctor has recommended that you considering seeing a pain management psychiatrist or psychologist, it might not be clear exactly why this might be helpful. You might think, Does my doctor think my pain is all in my head? or, Will I have to lie on a couch and talk about my dreams? The answer is no. No, it’s not all in your head. And, no, you’ll do other things instead of talking about your childhood. 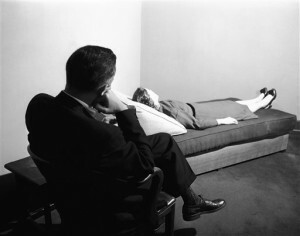 There are many ways some visits to a pain management psychiatrist might be helpful. This is a psychiatrist who understands chronic pain, and who can teach you many ways to decrease and cope with pain. You want to look for someone who specifically has expertise in treating pain. This series will look at the benefits of this type of treatment.